We are totally in awe of this gorgeous vintage style ruffled dress. 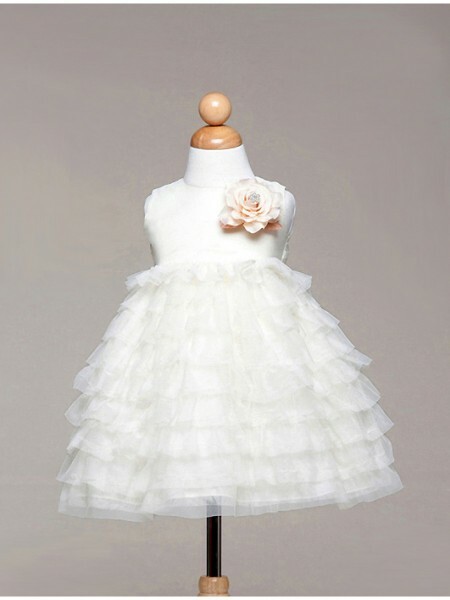 This dress is perfect for a little princess to wear to her christening, naming ceremony or after christening party. The dress has a sweet round neckline and it is accented with a side flower combined with a fine vintage style layered skirt. Limited Stock will be available in sizes 6-9 Months, 12 Months & 18 months.